Taipei, Aug. 5 (CNA) The Philippines top envoy to Taipei on Wednesday expressed gratitude to Taiwan for its arrest and deportation of a Philippine city councilor, who was wanted in his home country for drug trafficking. 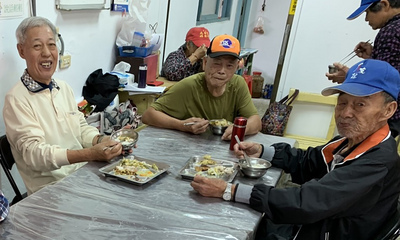 "I would like to express my government's appreciation to Taiwan authorities, especially the police and justice system, for the apprehension and the deportation of a fugitive from the Philippines," Angelito Banayo told CNA in an interview. Calling the case a good sign of cooperation between authorities of both sides, Banayo lauded the swift response by the Taiwan government in arresting the Filipino fugitive in May and deporting him on July 27. Banayo, chairman and resident representative of the Manila Economic and Cultural Office (MECO) that represents Philippine interests in Taiwan in the absence of official diplomatic ties, was referring to the arrest of Ozamiz City Councilor Ricardo Parojinog. Following a tipoff from Philippine police, Taiwanese law enforcement officers arrested Parojinog during a raid on a house in Pingtung County in southern Taiwan on May 23. Parojinog had gone into hiding in September after a crackdown on drug dealers by police in Ozamiz City on Mindanao Island in July last year. Parojinog's older brother, who was mayor of Ozamiz, his brother's wife and 14 others were shot dead in that operation. Commenting on the judicial cooperation between Taiwan and the Philippines, Banayo said in the interview that he was sorry about his government's decision in April to send a group of Taiwanese fraud suspects to China instead of Taiwan, a move that led to strong protests by the Taiwan government. The Philippines on April 4 deported 78 Taiwanese fraud suspects to China. They were among 158 individuals arrested in the Philippines on Jan. 13 for alleged involvement in fraudulent telecom activities. At the time, MECO said the Taiwanese suspects had been sent to China because the case was cracked through the joint efforts of the Philippines Department of Justice and Chinese police and that the decision was in line with an Interpol Red Alert issued in relation to the suspects. The suspects will face trial in China because all the victims live there and all the evidence was collected there, MECO said a statement after the decision was made. Banayo said MECO tried its best in that case to follow the precedent of deporting Taiwanese to Taiwan for investigation, but to no avail. "Sorry about that incident, but our ministry of justice had to respond to that request by Interpol," he told CNA. The case was purely legal matter, Banayo said, adding that deportation had nothing to do with his country's One-China policy. "We want to stop the Philippines from becoming a staging ground for cybercrime activities," he said. Since that incident, Banayo said, MECO has been working more closely with Taiwan's representative office in Manila to ensure a quick exchange of information in the event that any Taiwanese suspects are arrested again in the Philippines. "Before it gets any bigger, before we get a notice from Interpol or any other international crime fighting agency, we would be able to sort things out immediately and cooperate with them (Taiwan's representative office) to send (Taiwanese suspects) to Taiwan instead of to other countries," he said. "It is a lesson we learned," Banayo said.